A man convicted of a series of rapes on under-age girls has died in prison. In October, William Mailer, 71, from Falkirk, was sentenced to eight years in jail for the attacks which dated back to the 1970s and 1980s. The High Court heard that the abuse took place while Mailer was in his 30s and 40s. He raped two girls, aged between 11 and 13, in Edinburgh and Dalkeith. 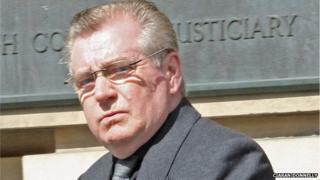 The Scottish Prison Service said Mailer died at HMP Edinburgh. It added:"Police Scotland have been advised and the matter will be reported to the procurator fiscal. "Next of kin have been informed and a fatal accident inquiry will be held in due course."